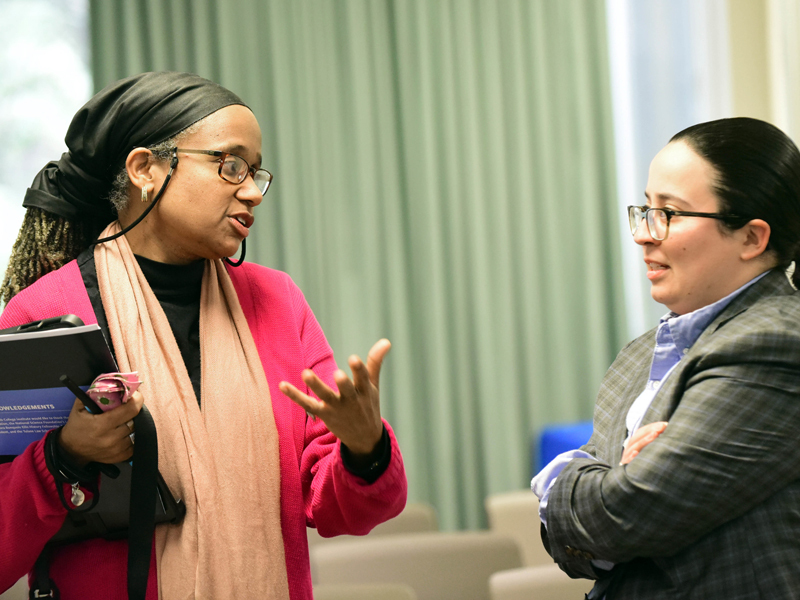 The Newcomb Grant Program funds research and activities that support the mission of the Newcomb College Institute, which is to provide academic and co-curricular programs that enhance women’s leadership and gender equity. The Newcomb Grant Program encourages faculty-student, interdisciplinary, and cross-unit collaborations in the production of new knowledge that may be integrated into the undergraduate curriculum. For more information about grant cycles, guidelines, and application materials, view the application. The Newcomb Grant program will provide support for individual research towards the completion of articles, books, and projects directly related to a faculty member's research. Costs directly associated with a tenure case (mailing or copying of manuscripts) are not funded. The Newcomb Grant program encourages collaborative proposals from two or more faculty or faculty and student/s that may cross disciplinary and departmental lines. Such proposals should be the result of cooperation by a group of faculty and/or students who prepare one joint submission for consideration. To facilitate implementation of such a grant, one member of the group should be named as coordinator. Travel, either to complete research or to present at an academic conference, seminar or workshop, can be a budget item in a research proposal. Teaching grants may be used to fund classroom enhancement activities such as a speaker, speaker panel, or conference within an existing class/es, within an academic program or department, or across departments or disciplines. Proposals for events involving multiple speakers or departments are encouraged. These grants may be collaborative in nature (involving participants from more than one department or discipline) or non-collaborative (involving a single participant or participants from a single department or discipline). An essential component of the project is the involvement of a local organization doing specific work in the community, and a letter of support from that organization must be included with the proposal. Projects must in some way directly involve and benefit women-identified students at Tulane. If the project is collaborative, a single person should be designated as the coordinator. A project team must be developed and should include: (a) the grant applicant as coordinator, (b) student/s, and (c) local organization. An agreement between these parties must be submitted with the application packet and must be signed by each of the faculty members and students involved. The agreement should include a time frame of the project and roles/responsibilities of each faculty member and student at the site. The agreement should also include the role of the local organization at the site. These grants will fund a large event or project such as a speaker series, conference, art show, or film festival. There may be a single event or there may be several events within the same theme/topic which are scheduled throughout the academic year and held on the Tulane campus. The funded project may be departmental (involving one or more participants from a single department or discipline) or interdepartmental (involving participants from more than one department or discipline) and must in some way directly involve and benefit undergraduate women-identified students at Tulane University. If the project will involve two or more persons (even if from the same department/discipline), please designate one as the coordinator. The Special Initiative Grant is not intended to be the sole source of support for the event/s planned, and applicants are encouraged to seek additional funding from other sources and list those sources as either confirmed or pending on the budget worksheet. The coordinator of the project must consult with staff at the Newcomb College Institute in selecting event dates to avoid conflicts with other Institute-sponsored events, and the Institute must be listed on all promotional materials. Staff members of the Newcomb College Institute do not provide administrative support for the implementation of Newcomb-funded grants. If writing a proposal for a series of events, applicants should consider the need for administrative support in implementing the grant and may include the hiring of an undergraduate in the proposed budget.